With most of Nebraska’s election technology now roughly a decade old, its Legislature is considering a pair of bills that would help chart the future of voting in the state. Secretary of State John Gale coordinated with state Sen. Tommy Garrett to introduce a bill last week that would convene a task force to spend 2017 studying the state’s voting technology, and investigate whether a move to all-mail or online voting would be feasible in the next few years. Meanwhile, state Sen. Matt Hansen introduced a measure earlier this month to convene a legislative committee to conduct a similar study over the next few months. Neither of the measures would result in immediate changes, but Gale told StateScoop that both bills represent meaningful first steps for the state. “We really don’t have a crisis at this point, but it’s timely to start thinking ahead,” Gale said. Gale estimates that the state’s current crop of voting machines — which were purchased around 2006 and largely use optical scan systems — will need to be replaced by 2020, giving the state some time to figure out the way forward. Accordingly, Gale sees the two bills as “complementary, not competitive,” with Hansen’s bill convening lawmakers to produce an initial evaluation that could eventually feed into the work by the 2017 task force. Hansen’s proposal would create a committee of seven lawmakers that would work with Gale, election commissioners from around the state, advocates for voting rights, people with disabilities and industry representatives to get a handle on the costs of repairing or replacing the technology. The group would have to issue a final report by Dec. 15. Gale said he’d long meant to push for a task force on the issue, but seeing Hansen’s measure compelled him to act. The secretary then brought the idea to some lawmakers he’s worked with in the past, and Garrett said he was “more than happy” to introduce the bill. But Gale noted that another key distinction would be the task force’s focus on voting methods, as well as the technology itself. The state has already begun experimenting with all-mail voting during special elections and in some rural precincts, and Gale said he thinks it would be pointless to spend money to replace voting equipment if Nebraska ultimately decides to conduct all elections by mail. Even with those potential issues, Gale sees all-mail voting as “probably being the most predictable alternative” to the state’s current systems. 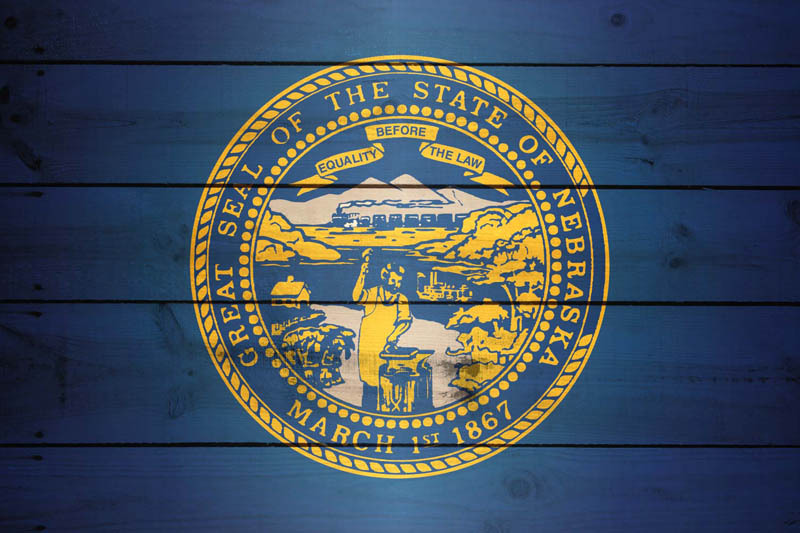 Nebraska used federal funds to buy its current batch of machines, which likely won’t be available this time around, so Gale thinks consideration of mail or online voting could be a crucial way to save the state and its localities millions of dollars. Lawrence Norden, deputy director of the Brennan Center for Justice’s Democracy Program, said that focus is a prudent one given his research into election technology funding around the country. Norden noted that he’s “not thrilled” about the state’s consideration of Internet voting, given the many security risks still associated with the process, but praised both efforts on the table for bringing in a “wide variety of stakeholders” to tackle the problem. But even with support from some lawmakers, Gale worries that the process may be delayed by some legislative realities. The current session only lasts until April 20, and with bills from last year still on the docket, he thinks there’s a chance these bills will have to wait until 2017. Yet, given the lack of controversy around the issue, Garrett is more hopeful. “I don’t know why anyone would object to it, but then again, this is politics,” Garrett said. Nebraska’s move to look at not just new machines but new ways of voting is incredibly important and worthy of note by other jurisdictions in similar situations. Many states across the country are engaged in similar efforts to buy new technology, but with innovations like vote centers and the Colorado “ballot delivery” approach gaining popularity, placing voting machines in a larger systemic context is not just smart election policy but fiscal policy – ensuring that current dollars are spent on the future of voting, not its past. It’ll be fascinating to see how this plays out, both in the push to get these bills enacted before April and then (if enacted) to get the work of these groups underway. Be the first to comment on "Nebraska to Consider the Future of Voting Technology – and Voting"